The One Source multivitamin for women contains nearly an entire day's worth of essential vitamins and minerals for any woman in any physical state. Whether you're a regular at the gym or stay-at-home mom with little time to worry about your health and diet, One Source gives you just about everything you need. The One Source daily supplement contains a wide range of vitamins that are essential in maintaining regular and healthy bodily functions. The vitamins found in One Source as well as the percentage of the recommended daily allowance, or RDA, of each are: vitamin A, 100 percent; vitamin C, 300 percent; vitamin D, 100 percent; vitamin E, 300 percent; vitamin B-1, 5,433 percent, vitamin B-2, 4,794 percent; vitamin B-6, 4,075 percent and vitamin B-12, 1,358 percent. All of these vitamins play an important role in keeping you healthy, especially vitamin C which helps boost your immune system, and vitamin D which helps keep your bones healthy and strong. Aside from daily doses of important vitamins, One Source also provides you with a number of important minerals your body needs to keep moving. These include niacin at 75 percent of your RDA, 100 percent of your folic acid, 50 percent of your calcium, 150 percent of your daily iron, 10 percent phosphorous, 50 percent magnesium, 100 percent selenium and 83 percent of your daily chromium. These minerals are just as important to include in your daily consumption as vitamins, like selenium which protects your body's cells from cancer causing free radicals, or phosphorus which is vital for keeping your digestive and circulatory systems in check. It is important to stress that when taking multivitamins, you must follow the recommended dosage for the type of person that you are. Over-consumption of vitamins can be a dangerous thing, as your body only needs a certain amount of vitamins and minerals to stay healthy. While you may ask yourself, "how could having too many vitamins and minerals be bad for me?" consider the fact that this vitamin was created through the advice of doctors and pharmacists whose job is to understand how the body works and what it needs. Overdosing One Source can lead to unconsciousness, pale skin, a weak or rapid heart beat, stomach pains, vomiting or green diarrhea. 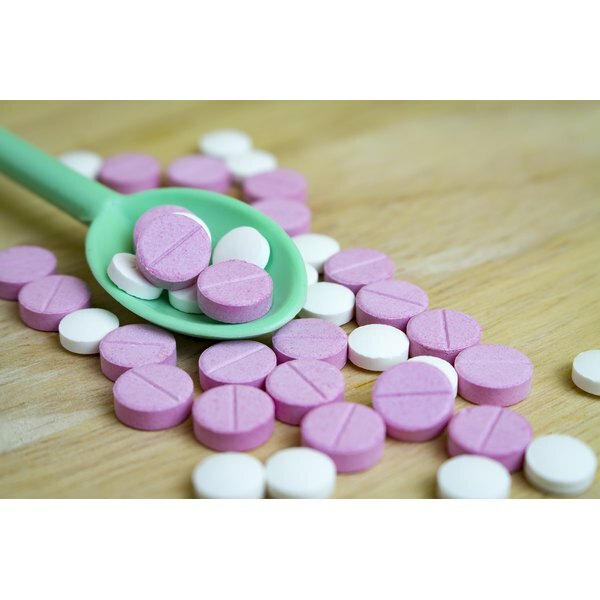 As the One Source multivitamin is a supplement and not a medication, the side effects you may experience are rather mild and aren't something to be too concerned about. Possible side effects include mild nausea and an upset stomach, and an unpleasant taste in the mouth. These side effects shouldn't occur regularly, but if they persist you should contact a doctor or a pharmacist. Before you decide to start taking One Source, you should consult your doctor and let him know you plan on taking it. Have him check your medical history and any medications you may be on to see if there are any possible negative interactions the multivitamin may have. Certain blood disorders and medications for these disorders could present severe reactions to taking One Source, as the vitamin contains high doses of a wide range of vitamins and minerals.